It doesn't seem to matter how many weird and wonderful ways you come up with to keep nuisance wildlife out of your property and home, they always seem to find a way to get right back in again. You evict them, seal up the building, and then clean up after them, but just a few weeks or months later the problem just comes right back. It's very frustrating, incredibly time-consuming, and will no doubt end up being very expensive. Our advice is to call in wildlife control exterminators when you have bats in the attic or anywhere else in the building, but we do understand that many home and property owners would rather "save money" and rely on repellents and other DIY bat removal methods first. Sadly, it doesn't take long for those money-saving DIY'er's to realize that doing-it-yourself just doesn't work (or end up being more cost effective) when you're up against wild animal invaders, particularly bats. If DIY'ing still sounds like the route you'd like to go down, you'll need to know about the must-have 5 property modifications that will definitely keep bats out. You can use netting to entirely cover a tiled roof, for example, but you will usually find that this isn't the most aesthetically pleasing option, especially if you can't pick the color of net or match the color to your roof tiles. Using netting to keep bats out can also come with its fair share of disadvantages, including inflicting injury or trauma. Bats can get tangled up in netting, especially when panicked, and they're not the only animal. Birds and even mammals have been found caught up in the netting designed for birds and bats. Netting can work to protect smaller areas quite cost effectively, although probably wouldn't work for a large area, such as the entire roof. This might not make sense to begin with, but when you understand that these creatures will find a home on your property, whether you like it or not, it does start to become a viable option. When you provide bats and other nuisance wildlife with an alternate place to set up a home, away from the spot that they are currently causing a nuisance, you will have much better luck than when you just kick them out "into the wild". These are usually not suitable for long-term and permanent ways of keeping bats out, but they can help when used in conjunction with other items and products. In most nuisance wildlife removal and prevention cases, you will find that combining approaches works much better than taking one route alone. 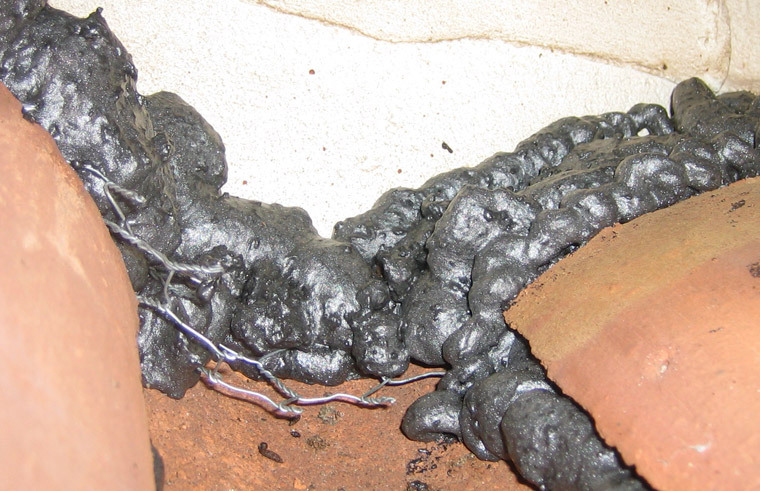 Expanding foam can be used alongside metal-based materials (wire wool, for example) as a temporary sealing measure. There are a wide variety of sealant materials that you could use to prevent bats from getting in your property, but you must make sure that you aren't sealing the animals inside. This will result in dead bats in your building, which could result in a legal matter. Okay, you got us; we know that wildlife control exterminators isn't exactly a property modification, but you'd be amazed by how much knowledge these people have, and how much it could vastly improve your efforts at locating and removing bats from your property. They're also the most legal approach to bat removal too, just in case you weren't aware. You'll need to do a fair bit of research and investigation before you can be sure your bat removal method is entirely legal in your state, for the species you're battling. Go back to the Bat Removal page, or learn about bats in the attic with my Bats in the Attic guide.